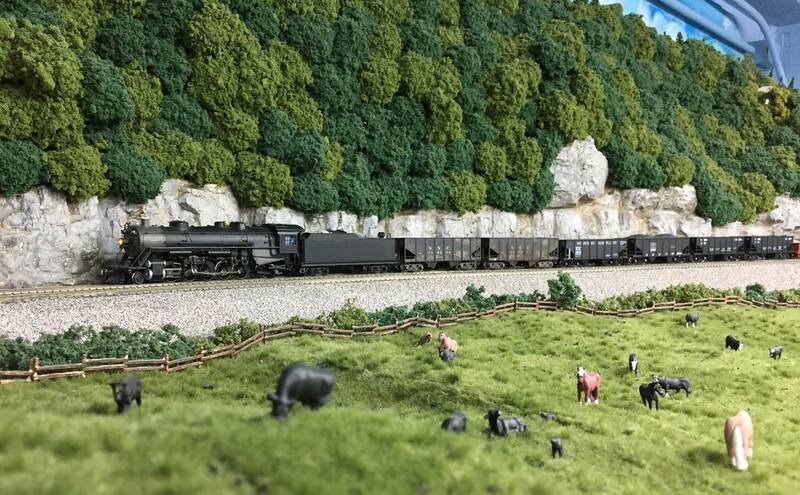 A USRA 2-10-2 strolls along the NC&StL mainline on the Dixie Model Railroad Club in Nashville. A rather balmy winter is keeping me busy here in middle Tennessee. I’ve become involved with a local club and helping with a couple home layouts. I’ve been slacking on the blog posts. A couple of the resource pages needed an update. The Guide to 1920s era HO scale plastic freight cars has a few overdue additions. This resource page gets the most views every week on the blog. I’m glad to see modelers are using the info. I suspect there are more modelers with a focus on the 1900-1940 years than what the hobby press polls reveal. The RPM event calendar has also been updated as we move further into 2018. There are twelve RPM meets between early March and late July. I’m attending RPM Valley Forge in metro-Philadelphia in late March. I’ll be giving a presentation on prototype modeling and manageable sized layouts. I hope to see some of you at the meet! If you can’t attend RPM Valley Forge, check out that calendar for an event near you. RPM meets are a great way to recharge your modeling drive. This is the first video feature on the blog. A few people have sent me the link to this cool video from an Erie Railroad carfloat operation in Chicago. Fox Movietone News cameras captured the action on a chilly September 1920 day. There are loads of great details to pull from the footage. Here’s what I saw. I hope you enjoyed viewing that a few times. My latest blog post was from October 2017 so don’t feel too bad about not posting so often. Blogging for me is just an extension of the hobby and it is just that – a HOBBY. Yes, I would like to post more often but I’m enjoying the life that gets in the way sometimes. As for that video it is indeed all that you have pointed out and more. The highlight for me was the pile driver! I have an FSM jewel series pile driver on my shelf awaiting its time on the workbench. I’m glad you make blog posts, regardless of how frequent or infrequent they may be. That’s some quality work by the Dixie Model Railroad Club. On the video – no doubt, some of those background buildings and bridges are still there! I’m fine with whatever publishing schedule you have. It’s a hobby project and like any hobby project gets worked on when it gets worked on.